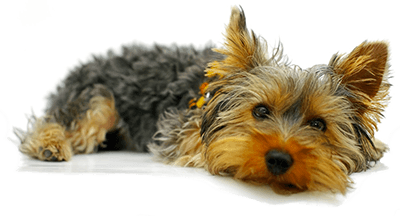 You love your dog, but feel frustrated and embarrassed by its behavior and don’t know what to do. Your dog jumps on guests and you, fusses on leash pulling you down the street while you beg it to “heel,” or charges the front door with such exuberance you can’t even answer it without tripping over the dog. Maybe, your dog uses aggressive strategies against other dogs or people or carries on whining and howling when you leave. And, on top of it, your dog only listens to basic commands if it’s convenient or if you have a treat. Sound familiar? Believe it or not your dog can learn to be in a calmer state-of-mind and, thus, have better behaviors. 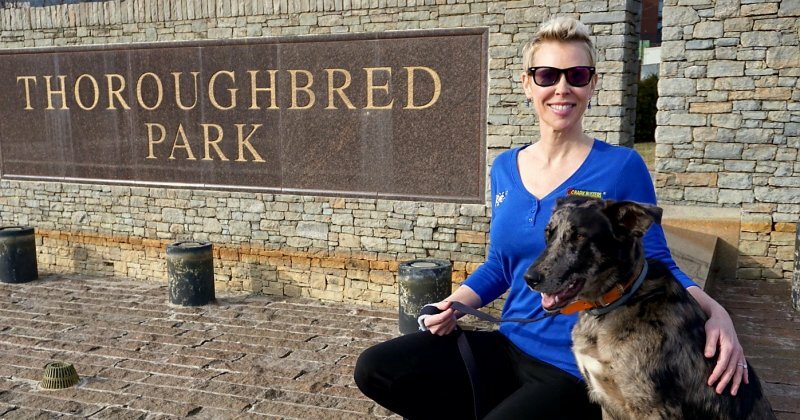 Since 2003, I have successfully helped hundreds and hundreds of dog owners educate their furry family members to be well-behaved, well-balanced dogs that owners not only love, but enjoy! AND, the dog is happier, too! We educate dog owners, we don’t train dogs. Imagine you are sitting in a classroom and the teacher comes in and starts speaking French. Chances are, you don’t understand a word she is saying. The same holds true for you and your dog. Dogs are hard-wired at birth to be dogs and the mama teaches them how to communicate with each other like dogs do. Then your dog comes into your home and you start speaking in English. Because dogs operate based on social order/rank, he is sorting out who out ranks where and is testing you (and you’re probably a soft touch) to see if he’s in charge. Once dog owners learn how to establish their place in the pack – as the “Top Dog”, your dog will gladly relinquish control to you, knowing that you will keep him safe. Then he will respect you and start to follow your commands and education. We get to the root of the behavior. Dogs don’t just act out. They act out for a reason. A dog’s behavior is reflective of its state-of-mind. We will help you get to the “why” or the root of the issue. When we address the cause, the symptom/unwanted behavior will, with time and practice, be eradicated. We only use positive, humane methods. Unless you own stock in a dog treat company, treat training is not the way to train your dog. You don’t see mama dogs walking around with their treat pouch on dishing out food to educate their pups. Treats can be used as a reward from time to time, but once the treats stop coming so, too, will your dog’s good behaviors. Additionally, negative reinforcement such as shock collars, prong collars or punishment can result in a more aggressive dog. Dogs are a conflict resolving species – they do not like to get physical. So, we needn’t get physical either. I will teach you how to get your dog to listen to you using a natural method of garnering your dog’s respect through leadership and using voice tones and body language to speak to your dog in “doglish.” Yes! You will learn to communicate the way dogs communicate. WOOF! You will see results after your first session. You will see amazing results after the first lesson launching you into a foundation that we will build on to provide the lasting changes you desire. I can help your dog reach its full potential! I am very passionate about dog training because I get to see seemingly mischievous and misbehaving dogs transform into responsive, attentive, curious, calm and loving ones. The relationship becomes enjoyable and more positive. Dog owners are relieved and less stressed and so is the dog. If you want your dog to reach his/her maximum potential, let's get started today! Call now and see the difference! Any Dog, Any Age, Any Issue! Kendra took control and modeled for us the moment she walked in the door. Kendra Tycocki is the best trainer of us and our dog I've ever experienced. She is very knowledgeable, professional, pleasant, patient and thorough. Excellent - 5 stars. We had tried training before and got no where. We were amazed at Kendra's training of Belle and her reaction. We have only been doing our homework for a short time, but the difference is AMAZING! Thank you!